Warehouse and industrial developers used to be quite reluctant to venture beyond traditional business models based on the leasing of buildings and selling them to real estate investors. But now they are becoming increasingly attracted to the idea of instead being the owners of buildings, building them for the occupiers to own in exchange for a lump sum. Even though the model is still rare and very much on the fringe of traditional development activity, it allows developers to compete for such contracts with general contractors. A developer can succeed in this thanks to economies of scale and mostly due to the range of services they can provide. The developer will not only take on the responsibility for the design of the building, the permits and its financing, but can also help to search for the site, provide legal and negotiation support for the purchase of the plot and will also save the client the trouble of choosing construction companies. Colliers International, in its May report ‘New Locations, New Possibilities – Logistics Centres vs. the Job Market’, expects BTO transactions on the Polish warehouse market to grow. “The main reason for this will be the continued influx of production companies from European countries and the US – the preferred model of manufacturers – as well as a growth in the demand for comprehensive construction services, thus saving investors some trouble and reducing the investment risk,” explains Łukasz Pańczyk, a senior specialist in the logistics and industrial department at Colliers International. “This is particularly important for large companies, which are not in the business of making financial savings at all costs, but mostly focus on eliminating risk,” says Piotr Wawrzyniak, the manager responsible for Poland of Belgian development company ILD, which built a BTO factory for American group Newell Rubbermaid in Włocławek in 2011. Warehouse and industrial developers’ engagement with BTO projects in Poland goes back less than ten years. Panattoni blazed the trail in 2008 by offering this service when it opened its BTS branch. Its first contract was signed in 2009 with Farmacol (5,400 sqm in Poznań) – and out of a total of 30 BTS transactions it has completed since then, around a third have really been BTO projects. The largest transactions on the Polish market to date have also been carried out for BTO facilities. 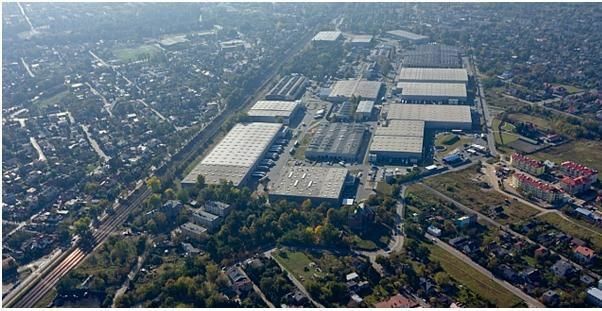 Amazon commissioned the building of two BTO warehouses, one in Poznań and the other in Wrocław and each comprising 123,000 sqm. Soon after their completion, Amazon sold both facilities to a Korean group represented by German fund manager GLL Real Estate Partners in a sale-and-leaseback transaction. Panattoni also completed 19,400 sqm of industrial space for Bombardier last year and signed a contract for the construction of a 13,500 sqm project for Thule in Piła at the beginning of the same year. “BTO forms an interesting element of our business, as it increases the transaction volume, extends our market penetration and the range of services we provide, gives us additional contact with the client or broker and we are also closer to the market as a result,” claims Robert Dobrzycki, the Europe CEO of Panattoni Europe. Goodman also operates in the BTO sector as well as ILD, Hillwood Polska and 7R Logistics (the latter two are preparing for their first few BTO developments) as well as Jakon, based in Tarnów Podgórny near Poznań. In Romania warehouse and industrial developers have still to establish themselves on the BTO market. And this is despite the fact that potential clients have been building facilities using this model for years, by commissioning general contractors. “One recent example of a BTO project by a developer is a 9,000 sqm project built in Timișoara for Kimball Electronics by local warehouse developer Helios Phoenix,” says Costin Bănică, the head of JLL’s industrial department in Romania. However, there is clear evidence that such opportunities will keep emerging as Romania continues to successfully attract industry from abroad. Developers such as CTP, Panattoni, WDP and AIC-RE are participating more frequently in tenders for BTO projects, but according to Costin Bănică they have yet to win any significant contracts in this segment to date. Owning a building is popular in Romania for logistics providers and retail chains, as such firms have greater requirements when it comes to locating their distribution centres. They have also struggled to find suitable leasing options. “Now that the business has stabilised, the ownership of a logistics centre could make more sense than a long-term lease. However, that decision still depends on the strategy of the particular company,” says Costin Bănică. He is also of the view that developers’ share in the market is set to grow. “Even though acting as a general contractor is not the core business for a developer, they are being encouraged to do this by large clients and brands. I’m convinced that we will be seeing BTO projects in Romania more and more often as the market grows and matures,” he adds. 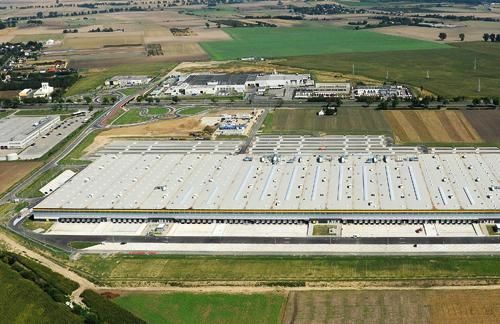 Panattoni reigns supreme, as it does in Poland, in the BTO sector in the Czech Republic, although BTO services are also offered by ILD, which has built a 26,500 sqm warehouse for Taiwanese electronics goods producer Foxconn in Kutná Hora as well as a project for Contera in Prague. Panattoni’s latest developments include a 15,000 sqm facility in Prague for Tirex Tyre, and 4,400 sqm for Bombardier in Česka Lípa. Panattoni has also built 43,000 sqm for Johnson Controls/Yanfeng and 26,000 sqm for Steelcase. According to Miroslav Kotek, the director of JLL’s industrial department in Prague, a number of such transactions take place every year. “However, this model is more popular during economic downturns,” he points out. He goes on to add that he does not expect there to be either any significant growth or decline in the annual number of the transactions in the sector. The steady demand for BTOs – and not just in the Czech Republic but also globally – should be supported by the continuing low interest rates. Bruno Berretta, the director of the research and forecasting department at Colliers International EMEA, emphasises that under the current market conditions, BTO projects should theoretically be more attractive for companies looking to finance their projects through loans and when a decent profit looks assured from the future sale of such properties. In spite of this, he does not expect the current low cost of money to result in any sudden surge in interest in BTOs in the CEE region: “Much of the demand so far has been generated by the automotive industry, thus attesting to its strength in the region,” explains Bruno Barretta. According to him production companies will remain the main source of demand for the BTO segment.